A white trailer parked in downtown Missoula on a rainy weekend wouldn’t normally draw much attention, unless it’s Earth Day and the trailer happens to be a mobile classroom dedicated to the latest in solar technology. OnSite Energy, a Bozeman-based company that designs and installs solar-specific projects around the state, joined Missoula College in unveiling the new mobile classroom at Caras Park. There, Conor Darby – co-founder of OnSite – considered renewable energy and the industry booming around it. Several large solar projects are planned around the state this summer, promising new jobs in a rapidly growing field. But like several other emerging industries in Montana, a shortage of skilled workers threatens to slow the pace of development. To ramp up the training, the Montana University System applied for several grants to fund the mobile training lab. 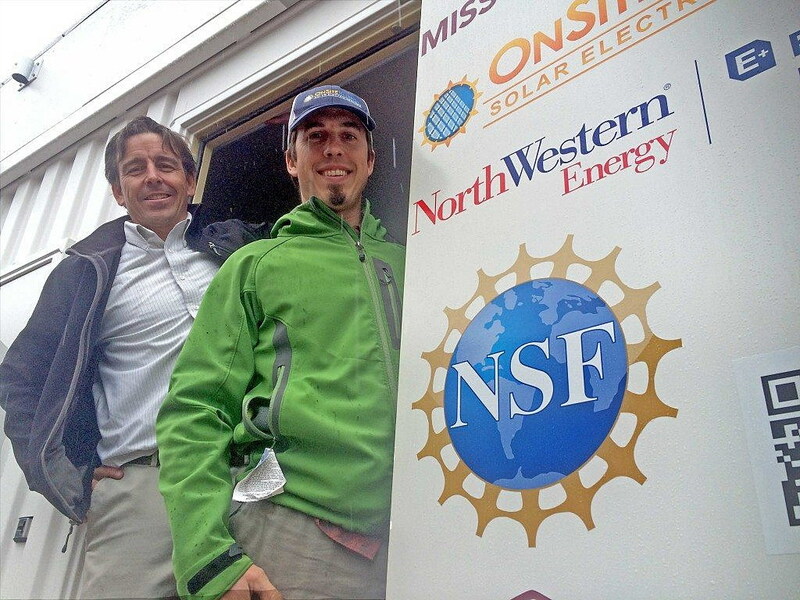 It won support from the National Science Foundation, NorthWestern Energy and OnSite to develop and deploy the $110,000 mobile classroom. Brady Layton, director of the Energy Technology Program at Missoula College, said the facility is the first of its kind in the state. He joined Darby over the weekend in showcasing the classroom’s accessories. The 20-foot trailer includes a removable roof-top solar array and wiring for three different systems, including an off-grid inverter and charger equipped with a bank of lithium-ion batteries. Using the mobile lab, students also learn best practices for installation, wiring methods and battery management. 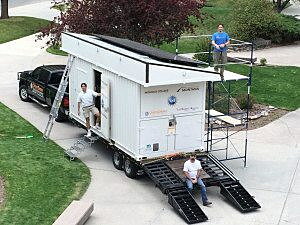 The trailer serves as a companion to the Energy Technology Program at Missoula College, where students explore subjects ranging from fuel cells to bio-energy. Upon graduation, Layton said, students often find work in Missoula at McKinstry, Energetechs and Blue Marble, among others.